Just a few photos to share with you this week from the Capture Your 365 photo challenge. 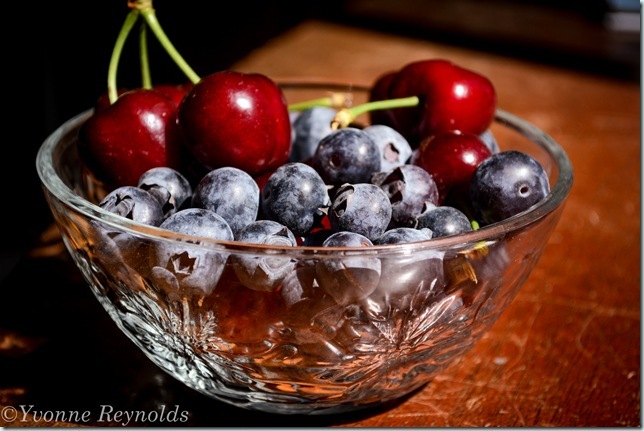 Day 138 – Fresh Veggies: Obviously, these are not fresh veggies! One of the benefits of living in the California Central Valley is how much fresh produce surrounds us. For the last couple of weeks, early on Saturday mornings, I have been out picking blueberries and cherries at one of the local U-pick farms. Day 141 – The Perfect Gift: Oh, my husband knows when I need a little pick me up in my month! Day 142 – Clouds: It has been so incredibly windy here lately, there was not a cloud in the sky to photograph on this day. But we were so close to having a full moon, so I pulled out my tri-pod and took a picture of the moon instead. The picture was kind of blah when I pulled it into Lightroom, amazing what you can do by adjusting a few settings. Day 143 – May Flowers: I don’t have a huge vegetable garden this year, but I have planted quite a few marigolds around. Hoping they help to keep the bad bugs away. What did you photograph this past week? It is almost June! This would be a great time to join in the Capture Your 365 photo challenge!